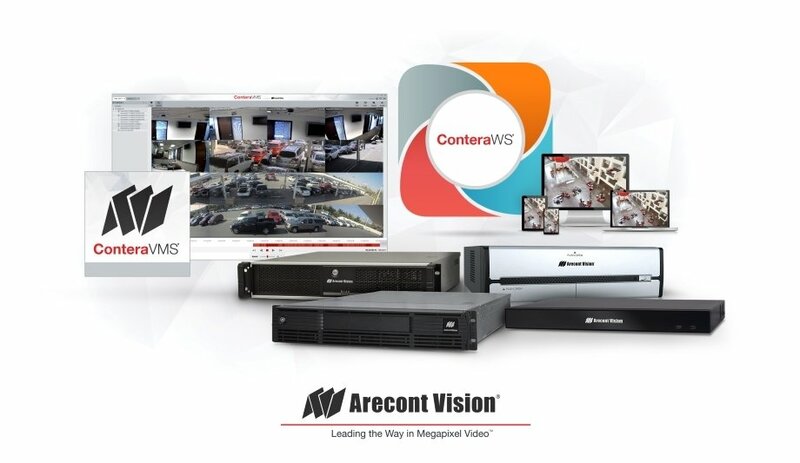 The US-based IP-based megapixel camera and video surveillance solutions provider introduced the Contera VMS Video Management System, ConteraWS Web Services, Contera CMR Cloud Managed Recorders, and ConteraIP megapixel cameras. Arecont Vision also demonstrated its MegaIP series of single and multi-sensor megapixel cameras. “Our European customers are very important to Arecont Vision, and we’ve developed our new Contera offerings in part to address what they have told us,” said Raul Calderon, Chief Operating Officer and General Manager of Arecont Vision. “We now offer another single- and multi-sensor megapixel camera lineup to complement our Mega camera portfolio, plus advanced VMS, cloud management, and video recorder platforms. Brad Donaldson, Vice President, Product Development, showed IFSEC visitors a hands-free remote setup of new Arecont Vision cameras, which Arecont Vision says will dramatically simplify installation. Contera Web Services will configure and set views from single-sensor MegaDome G3 RS and multi-sensor adjustable-view SurroundVideo Omni G3 cameras. ConteraWS can be used to manage Arecont Vision cameras and the ConteraVMS. Video can then be uploaded and accessed remotely over the cloud – anytime, anywhere. Deployed around the world, Arecont Vision products are integration-tested with leading VMS, video analytics, networking, storage, and other related products, with ONVIF support, through the Technology Partner Program’s MegaLab facility. The company is also slated to launch Contera Bullet, Contera Outdoor Dome, and Contera Panoramic megapixel camera models soon. Find out more about the Contera VMS, WS, and CMR here. Learn more about Contera IP cameras here. Arecont Vision is the leading US-based manufacturer of high-performance IP cameras and video surveillance solutions. The company offers two megapixel camera families – the MegaIP™ series includes Made in USA, cyber-secure MicroBullet®, MicroDome®, MegaBall®, MegaDome®, MegaVideo®, MegaView®, and SurroundVideo® models, plus the world-class Contera® series dome and bullet models. Both camera families offer single- and multi-sensor choices that are integrated with the ConteraVMS® (video management system), ConteraWS® (web services), and the ConteraCMR® (cloud-managed video recorder) series for traditional or cloud-based video surveillance solutions. Arecont Vision supports integration with leading 3rd party products through the MegaLab™ and via ONVIF compliance.